We are having soup for dinner and I am in a terrible mood. It is a ridiculous soup: vegetable broth with these flimsy noodles shaped like matchsticks. My spoon cannot catch them. And I am hungry. I want six bowls of this lousy soup, but I am not going to ask for seconds because Thomas had already been making jabs about my weight. Thomas, my host brother, is sitting across the table from me. At fifteen, he is a year younger than I and completely unremarkable. He is neither handsome nor intelligent, but he is the firstborn in the family and a boy; therefore his mediocrity in all things has been praised from an early age. My host sister, a year younger still, is clever and eager to gain her parents’ attention. The fact that she consistently fails at this has made her mean. I have no allies among the children in this household. I reach for another dinner roll. 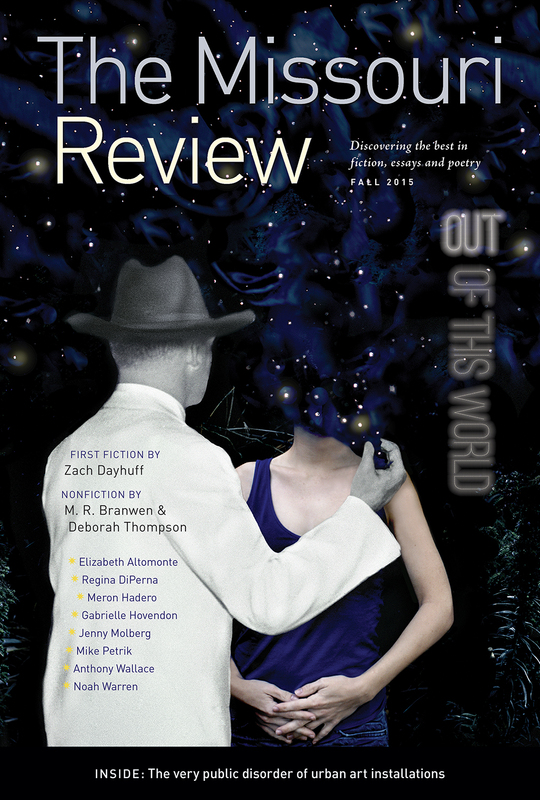 38.3 (Fall 2015): "Out of This World"